It’s always an honour to be the wedding photographer for a friend’s wedding and Doug and Yvette’s wedding was no exception. 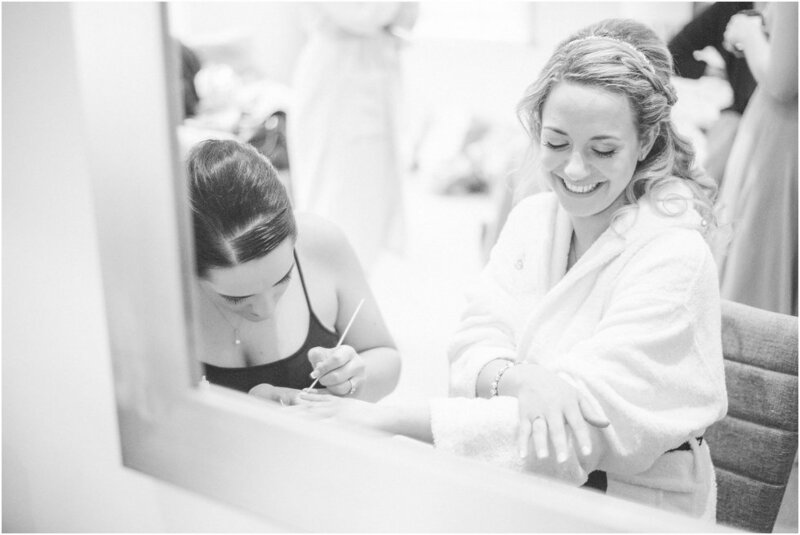 I’ve known Doug since I was 11 years old and so I was really excited to be asked to be his and Yvette’s Ponsbourne Park Hotel Wedding Photographer for the day. Yvette and Doug are both teachers and met at school. They’ve been pretty much inseparable ever since and share a love of adventures and enjoying time with their friends. There was never any doubt that this wedding wouldn’t end up with a huge party and it certainly didn’t disappoint! What may have been initially disappointing was the weather. Glorious sunshine one day and then the next, on the wedding day, it was overcast and drizzly. However it didn’t matter one iota. 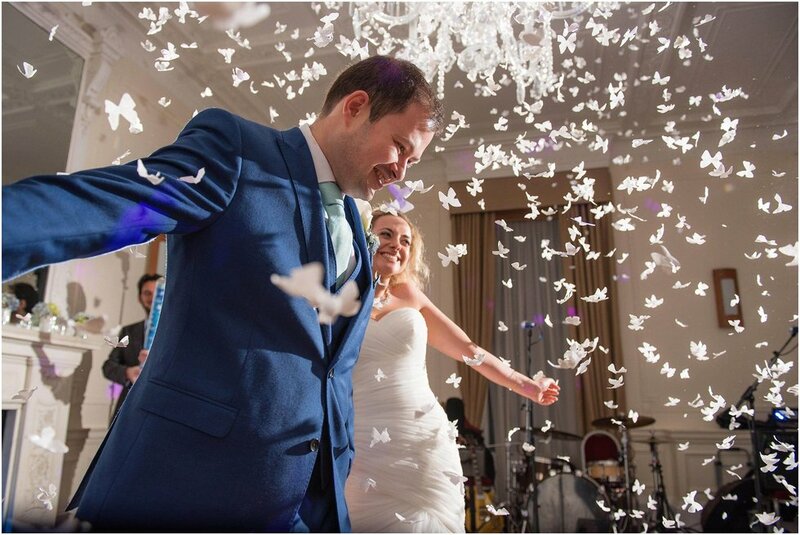 The mood of the couple and guests brought sunshine within the building and Ponsbourne Park Hotel, based in Hertfordshire, was a fantastic venue to host a wedding come rain or shine. Ponsbourne Park is within easy reach of North London and is big enough for a medium to large wedding. It’s set within beautiful grounds and features a very handy gazebo in case it does rain and you’d like to spend some time outside. The staff were excellent as was the food. The master of ceremonies, Des, was a particular legend who everyone couldn’t speak highly enough of. 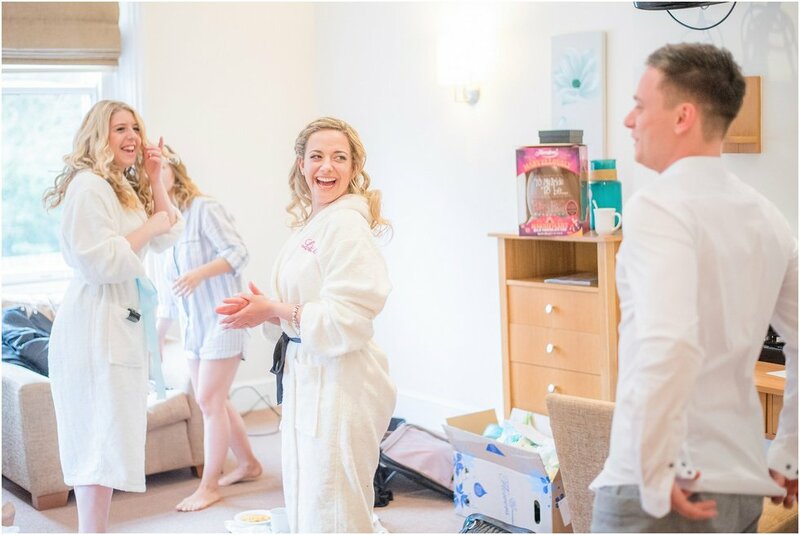 The bridal suite was buzzing with energy when I arrived. Yvette was so excited and so were all of her bridesmaids. There was so much laughter it was infectious. Doug didn’t seem too nervous when I joined him and his best man James. He was smiley too and that smile only increased in size when he was stood next to the stunning Yvette. The ceremony was short but very sweet. After some fun with confetti we took a fair few group shots in and around the gazebo area before the party retired for their wedding breakfast. (Weird phrase “wedding breakfast” isn’t it!) The speeches were hilarious and featured the bride and two of her bridesmaids speaking too who were all equally funny. Following that the three of us snuck outside to get some shots of just the two of them looking awesome together before the first dance. The first dance, featured above, was fantastic thanks it the addition of confetti canons! I’d highly recommend them if you’re getting married. The air instantly becomes thick with confetti which was a lot of fun! Doug and Yvette’s reception featured a frankly awesome covers band called The Tide who I instantly liked as they warmed up playing a Pearl Jam number. That got the whole place rocking before DJ Dan of Shoosh Weddings got the whole place shaking their booties! Awesome band, awesome DJ: It was ace. Congratulations Yvette and Doug. I know you’ll be very happy together. Here are some of my favourite images from your day. The full gallery is available to view here. Please contact Yvette or Doug for the password. 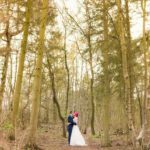 If you’re in need of a reportage wedding photographer who will blend in with your wedding party guests and capture the awesome of your day, please get in touch. If you have the chance, check out some of my favourite images here.